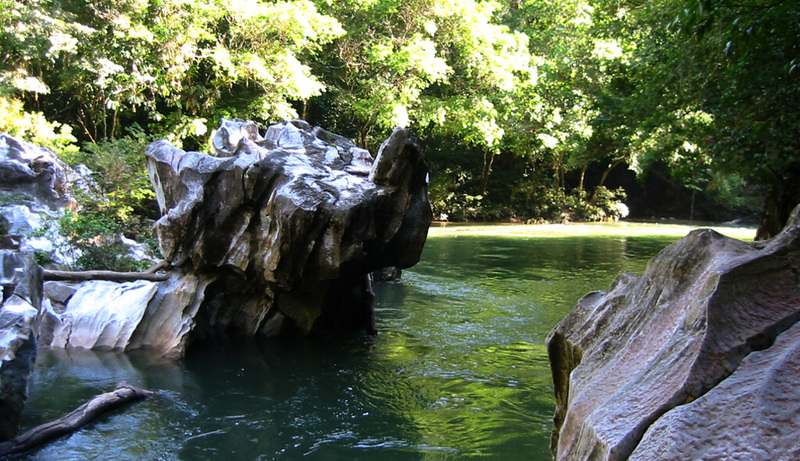 A wondrous place characterized by huge marble megaliths carved by Rio Claro’s waters . 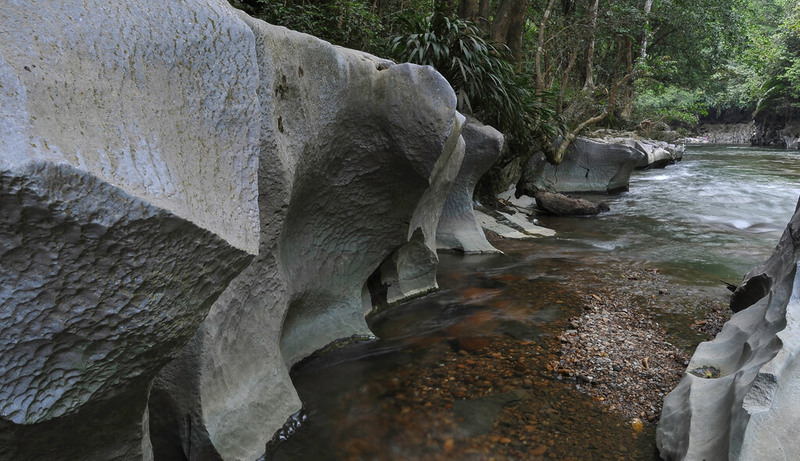 These sculptures emerge to be molded by the force of the currents, inviting us to listen to the dialogue established between them and the river. 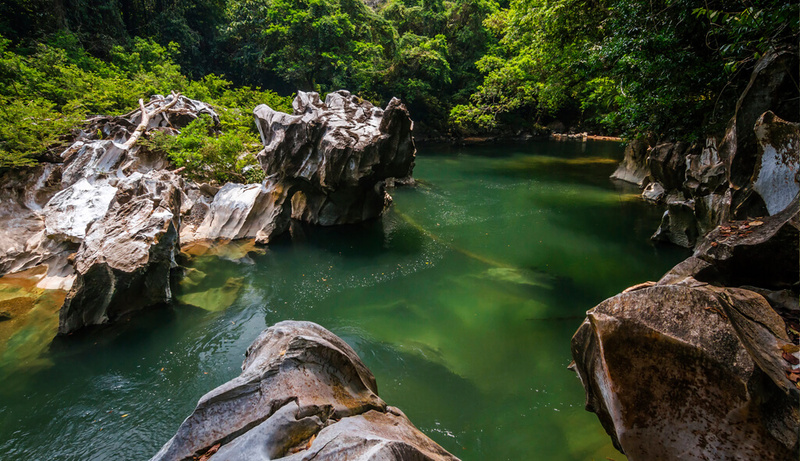 This place gets its name from the presence of Quebrada las Dantas, a small tributary creek that deposits its crystalline waters in the river. 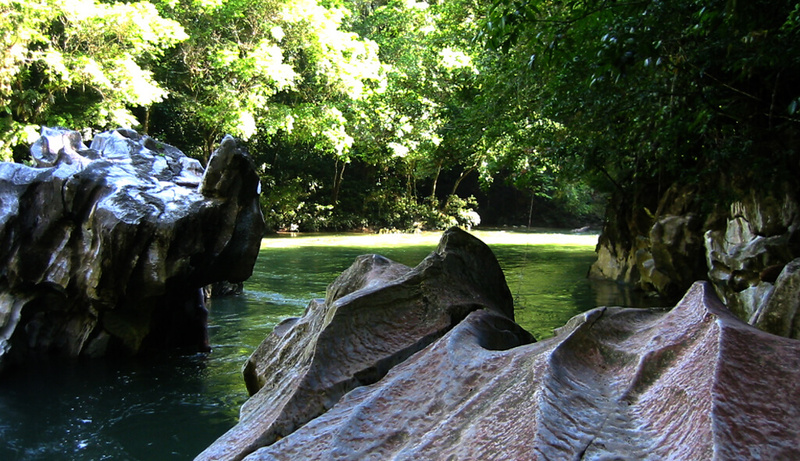 Visitors can reach the site by following the trail, 50 minutes upstream from the central courtyard. The walk requires more physical shape than some of the other points of interest, but is compensated by the amazing view. “These rocks are a testimony to the fascinating processes of geological transformation that have shaped this canyon over millions of years.”.